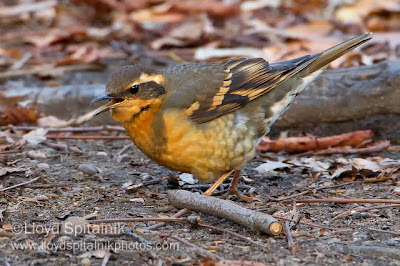 The lingering VARIED THRUSH has continued in Central Park, even as it has also continued to show a bit of tendency to slight wandering, usually within 50-75 yards or so from it's best-known location at the Ramble's so-called maintenance field & shed (men's room & lady's room available) which is just south of the E. 79 St. Transverse Road thru the park and just west of the park's East Drive roadway - Thursday at 2:45 pm the thrush was with a rather large, 'loose' flock which at times contained a Red ("eastern") Fox Sparrow, 2 male E. Towhees, a pair of N. Cardinals, a few Blue Jays, at least one (and perhaps more earlier) American Robins, 3-5+ Black-capped Chickadees, 6+ Tufted Titmice and 50+ White-throated Sparrows in all directions. The Varied Thrush appeared at least for a short time right by the low fence next to the transverse road's upper slope, south side, about 25 feet east of the Ramble area's "Maintenance" building men's room. This is the area where the thrush has frequently been seen previously. However it also ranges around, & skulks, and perhaps even sits quietly at times thru the days since it's initial discovery weeks ago. 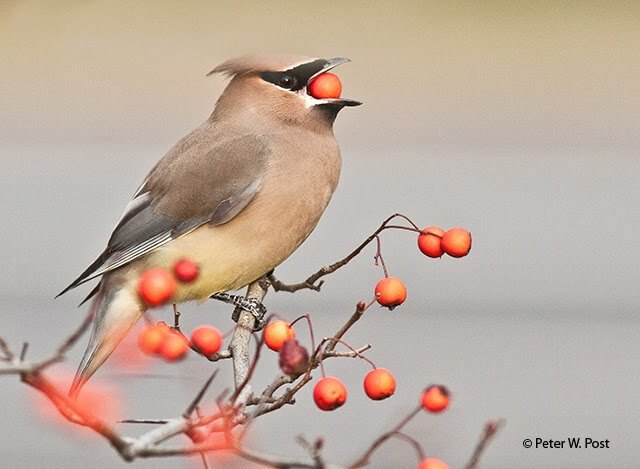 If a flock which includes some of these birds is about, I believe there will be a good chance the thrush is at least nearby, or with that flock. I have more often seen it when I have also found one or both of those male towhees, but that may just be coincidence - anyhow, I like towhees so it's nice to find them around, too. The flock in that area this afternoon was mainly ranging all around the outer edges of the maintenance field, which is just south of the building that includes the restrooms on either side. PS: It's Christmas Eve. Merry Christmas to those that celebrate it and Happy Holidays to one and all.